ONE HEAT MINUTE is the podcast examining Michael Mann's 1995 crime opus HEAT, minute by minute. 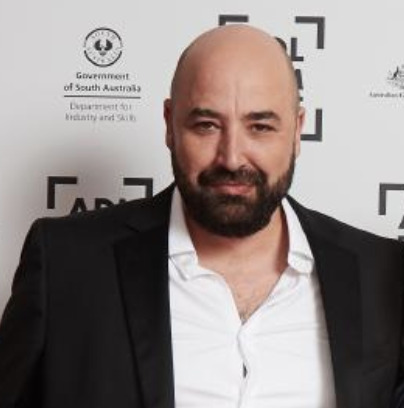 It's the 94th minute (1:33:00-1:34:00) - host Blake Howard joins writer/director Anthony Maras from the Australian Premiere of his debut feature HOTEL MUMBAI at the 2018 Adelaide Film Festival. Blake and Anthony discuss his production team's gift of an original theatrical poster of HEAT, how legends like Pacino and De Niro realise that the camera is reading their thoughts and Anthony's view that HEAT feels like the urban reworking of THE WILD BUNCH. Hope you've got enough time, to do what you gotta do and listen to the show. Anthony Maras is an Australian film director, writer and producer born in Adelaide, South Australia. Maras' short film The Palace had its international premiere at the 2011 Telluride Film Festival and won 'Best Short Fiction Film' and 'Best Screenplay in a Short Film' at the 2012 Australian Academy of Cinema and Television Arts Awards (AACTA Awards). Maras’ latest HOTEL MUMBAI premiered at the 2018 Toronto International Film Festival and the 2018 Adelaide Film Festival. Hotel Mumbai is released in Australia in April 2019.